Posted on August 10, 2015 by thelostlighthouse	in Board Games, Gaming, The Tabletop Project and tagged #boardgaming, #drawing, #gamesnight, #pictomania, #tinylittlesponges, boardgames, TLL, tllgaming. My friends seemed a bit unenthusiastic when I first described Pictomania. I can tell you now, that changed after the first round! Many times it’s been described as “pictionary on steroids”, and I have to say it’s an apt description. It’s a multitakers dream game! The basics of the game sees you set out 6 cards, ranging from easy to extra difficult, each card has 7 similar things on it. 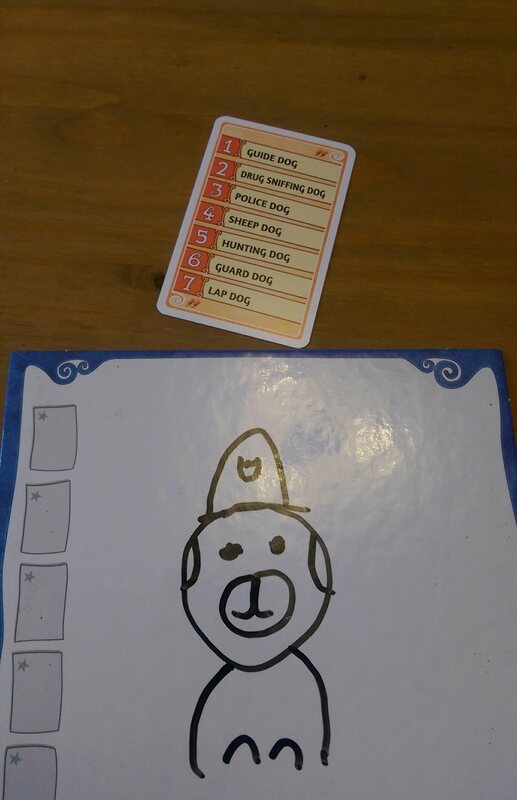 Each player then gets a secret pair of cards to tell them what they will be (attempting) to draw. Green cards (easy) are quite straight forward. They can be stuff like spoon or fork, but on another card it says pitchfork! So you have to make sure you differentiate between the two for your sake, and the other players! Can you guess which one I've drawn? Once you are all ready, you begin drawing your item but at the same time, you are guessing other peoples! You all have numbered cards of your colour that you place stack next to other peoples drawings. The quicker you guess someone’s, the more points you get. But once you place a card, it stays. So if you muck it up it means you’ve used your guess of that number! If you get your guess cards down first then you can pick up tokens that give you bonus points at the end of the round. Problem is, if people can’t guess your drawing (because maybe you’ve rushed it so you could guess other people’s first) then you earn negative points! It’s a nice feeling that by people guessing your drawing correctly, you get points and they get points. Drawing a football is easy right? How about red? Seriously, draw red without using words or numbers. It’s crazy! 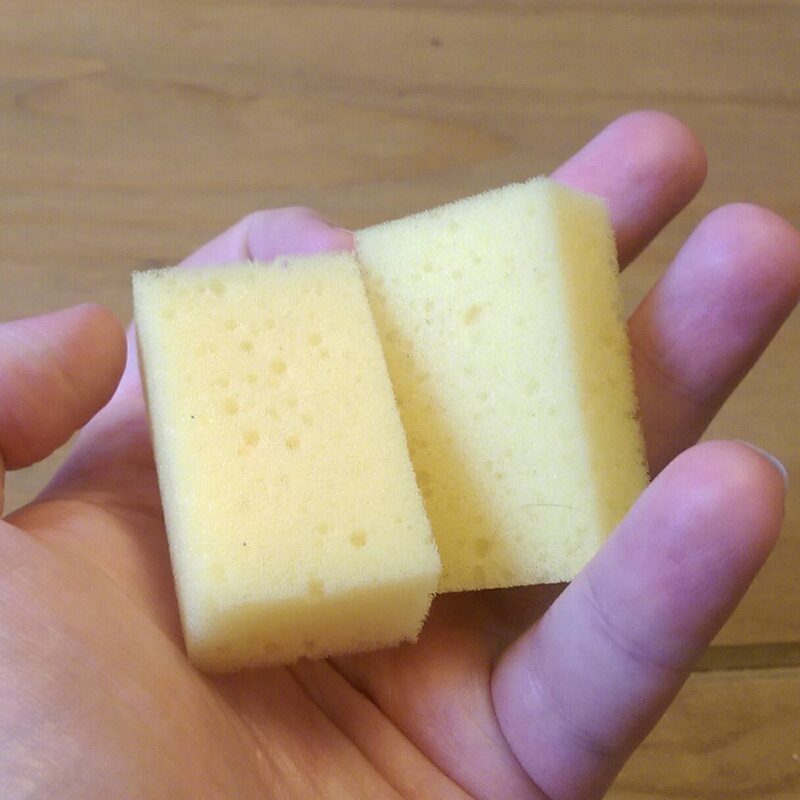 I love these tiny sponges! We had SO much fun with Pictomania. I think it’s suitable for nearly anyone. We had joys of guessing dodgy drawings and the crys of laughter at the down-right offensive ones. I’d highly suggest picking Pictomania up.